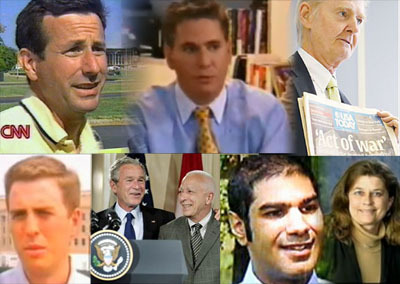 These videos should be viewed after first viewing our 2009 video National Security Alert, which is a concise summary of the key evidence. While they were originally released prior to that one, these videos are now most useful as supplemental material. This video "short" featuring the account of eyewitness Terry Morin was released as an addendum to The North Side Flyover. 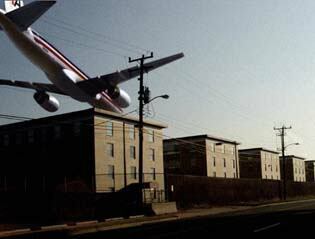 We present overwhelming evidence that the Pentagon attack jet flew directly over the Navy Annex building. This simple fact is irreconcilable with all official reports and the dubious physical damage, corroborates the north side approach, and of course proves the plane did not hit the Pentagon. This video was released as a follow-up to the presentation to The First Known Accomplice? 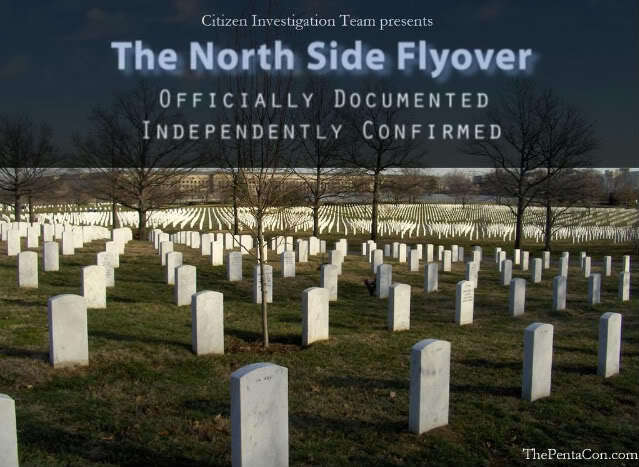 It chronicles our surreal, intense, and disturbing personal experience with Lloyde England in 2008 when we confronted him with the north side evidence, which proves that the plane did not fly anywhere near the light pole that allegedly speared the windshield of his cab on 9/11. Includes an extended version our 2008 interview with Lloyde (excerpts of which are featured in National Security Alert), and footage of our road trip to his property in the country to examine the cab. This two-part video was the follow-up to The PentaCon: Smoking Gun Version. 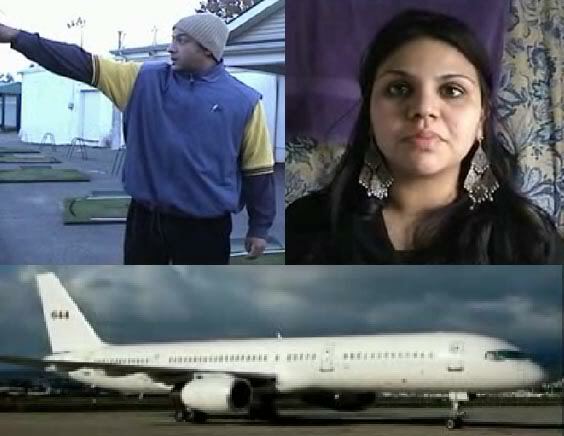 Part 2 of the video features our interviews with Pentagon heliport tower air traffic controller Sean Boger, Army Band musician Maria De La Cerda, ANC employees Russell Roy and George Aman, and Pentagon Police Officer Roosevelt Roberts Jr. Like the witnesses in Part 1, they all saw the plane on the north side approach except for Roberts, who did not see it approach, but did see it flying away immediately after the explosion. Also contains further evidence and analysis regarding the C-130 and the fraudulent RADES data discussed in Part 1. This two-part video was the follow-up to The PentaCon: Smoking Gun Version. 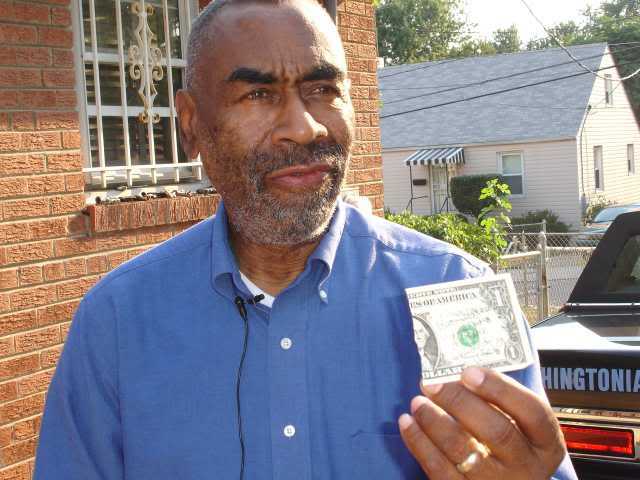 In Part 1, we present extended versions of our interviews with Arlington National Cemetary (ANC) employees Darrell Stafford, Darius Prather, Donald Carter, and William Middleton. 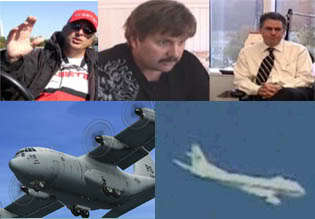 All four of these critical witnesses place the plane on the north side flight path, and are on record with the Center for Military History (CMH) placing the plane in the same place in 2001, eliminating the notion that they are misremembering due to faded memory. A number of them also discuss a northwest approach of the C-130 cargo plane that flew onto the scene approximately three minutes after the event. This flight path completely contradicts the proven-fraudulent alleged radar data released by 84 RADES in 2007 showing a south/southwestern approach, yet is consistent with the statements of the pilot himself, Lt. Col. Steve O'Brien. In this video we reveal more independently obtained smoking gun evidence further demonstrating how the true flight path of the Pentagon attack jet is irreconcilable with all official reports and data. We demonstrate that the plane flew over Washington DC skies and came from the east side of the Potomac River, whereas the phony government-supplied data has it on the west side of the river at all times, never crossing over toward DC. We explain how the C-130 and white E4B or "mystery plane" were used as cover for the decoy jet that was meant to fool people into believing it hit the building. We expose the methodology behind the operation and demonstrate how they were able to successfully pull off this military deception in broad daylight. A major misconception regarding the Pentagon attack is that hundreds and hundreds of people in the area would be able to see the entire event go down, including the alleged "impact". This is not the case, primarily due to the complex topography. In fact there are very few areas at all where you would be able to see the alleged "impact", and most who would be able to see the plane at all would only see it for about a split second. The flyover would be concealed by the massive fireball and smoke plume as it banked upriver disguised as normal flight traffic out of Reagan, which you can see regularly in the area as seen in this footage. This series of video-recorded location shots are an invaluable tool for people trying to get familiar with the area in order to understand how this deception was successfully executed in broad daylight. In this video we present interviews with previously unknown witnesses who we found by canvassing the neighborhoods of Arlington. It is painfully obvious that the people on the street report something different than the small pool of suspect witness accounts reported by the mainstream media. The plane that was seen flying at tree-top level over Arlington timed perfectly with the explosion at the Pentagon is repeatedly described as predominantly white, unlike an American Airlines jet. We expose the media cover-up of this white jet and the deliberate blending of reports to confuse people into thinking it was the E4B that was seen circling the white house later. 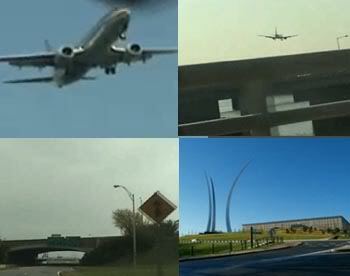 We examine the accounts of several alleged witnesses, all of whom are reporters and editors with USA Today/Gannett Publishing, and scruitinze their alleged point of view from Route 27 in relation to the official flight path. Features exclusive CIT interviews with Joel Sucherman and Vin Narayanan, as well as video footage of a statement by Mike Walter. 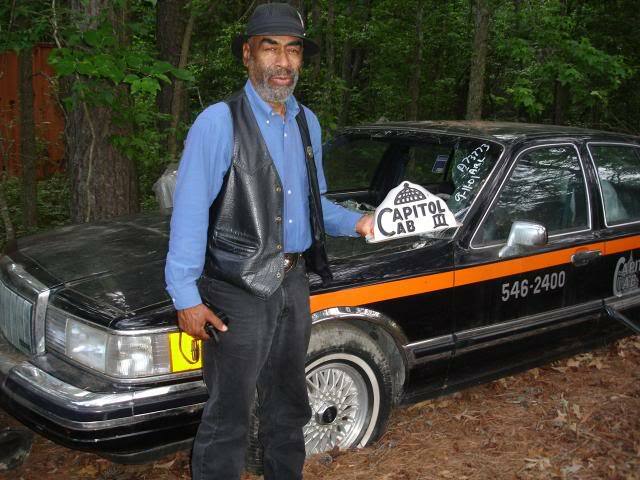 This video features our first interview with taxi cab driver Lloyde England, excerpts of which appear in our main video National Security Alert. It was recorded in August of 2006. This video features extended versions of our interviews with auto mechanic Edward Paik, gas station employee Robert Turcios, Sgt. William Lagasse, and Sgt. Chadwick Brooks, excerpts of which are seen in National Security Alert.